Experience some of the best the region has to offer, from classic private luxury lodges to cage diving with great white sharks. 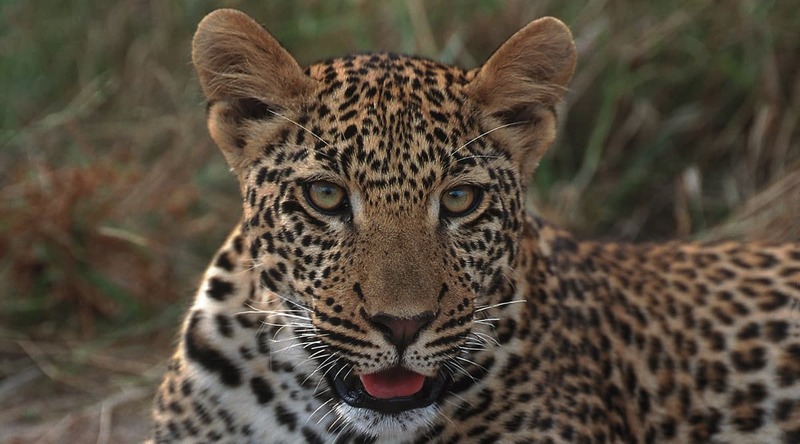 Track Africa’s big five on safari at two of South Africa’s premier private game reserves – exclusive game lodges in the Thornybush Private Game Reserve and Sabi Sands. From Gansbaai Harbor, set out on a thrilling excursion to go cage diving to view the great sharks that inhabit the waters off South Africa. Get to know Cape Town from its fashionable waterfront to the beautiful Table Mountain and historic Malay quarter; and enjoy a private tour of South Africa’s renowned Winelands. Relax at a beach resort on Benguerra Island off the coast of Mozambique. Discover the phenomenal beauty and energy of Victoria Falls during a private tour; and take an elephant-back safari that winds through riverine bush, across the Zambezi River onto islands. Very early this morning, you are met at your hotel and taken to Gansbaai Harbor and the White Shark Project for your cage diving encounter with the great whites. Launch times are subject to change according to the tides. On board the boat you will have a light lunch of rolls or sandwiches, snacks, juice and soft drinks. For those who wish to dive, they have a five-person, custom-built shark cage. Diving is dependent on sea and weather conditions, shark activity, and is at the discretion of the boat captain for your safety. On an average day, you can expect to spend between 15 and 30 minutes inside the shark cage. On return to the lodge, tea, coffee and fresh scones will be served. If you require specific sizes for wet suits, please inform us well in advance. The boat is a large 11-meter twin hull, custom-built craft with cabin, toilet, comfortable seating, and elevated viewing deck. Great whites come right to the surface where they swim around the boat, cage and baits. The experience from the surface is just as exciting as from the cage. The sea surrounding Dyer Island can be a little rough at times. Fortunately there are many reefs and kelp beds, which offer substantial protection from the swells. If you are not sure whether you suffer from sea or motion sickness, you should be prepared with seasickness tablets, or an alternative is to take ginger capsules. After the shark experience, your private guide drives you to the Cape Winelands, taking time to explore along the way. The guide can suggest possible touring options before you arrive in the late afternoon at your hotel. Designed along the lines of a French country house, La Residence is situated on its own private wine and olive estate deep in the Franschhoek Valley. Expansive terraces offer marvelous vineyard and mountain views. La Residence exudes an opulent and secluded ambiance. A private movie room, cloistered courtyard with swimming pool and a private library are some of the additional facilities of La Residence. The private chef creates wonderful dishes. Today fly to Livingstone. Note: American passport holders need to obtain a visa on arrival for either US $50 per person in cash for a single entry or $80 double entry. Please request a double entry visa if you plan to visit the Victoria Falls from the Zimbabwe side also, otherwise a single entry visa is sufficient. Please ensure that you have the exact change in USD cash to settle these Visa fees. Credit cards are NOT accepted!